The 2017 Etape du Tour takes place this Sunday in Briancon, and we'll be sending three reporters along from Sportive.com for a frolic in the Alps. Well, not quite a frolic... 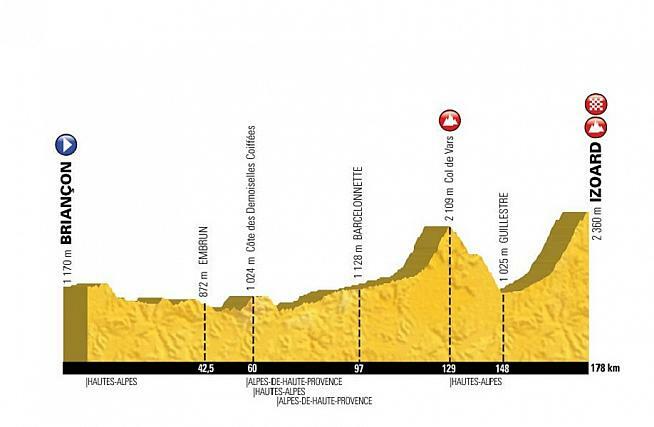 This year's Etape follows the route of stage 18 of the Tour de France. 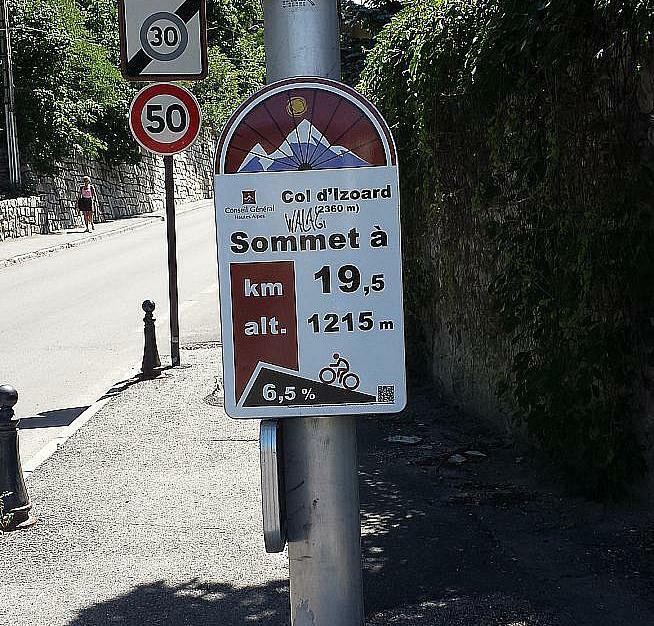 At 181km long and featuring an ascent of the Col de Vars followed by a summit finish on Col d'Izoard, it's one of the tougher routes of recent years. For UK riders it's a parcours completely unlike anything we'll encounter at home, and there are a host of factors to consider before the day, from training plans to which kit to pack. This year's Etape is heavily back loaded with an hors categorie climb of Col d'Izoard kicking in after 100 miles. What to wear is a particular puzzle: in summer it's common for temperatures in the Alps to be 30C in the valleys, but chilly, wet and windy at the summit of major mountain passes. Throw in the logistics of travelling there in the first place, and it all adds to the pre-ride nerves of Etape first-timers. Andy: "Sleep in your car at the event village"
I've been nagged by my mate Eric to go and stay in his house in the Haute Alpes for years, so this time I decided to take the plunge and go to watch Le Tour there. When the Tour route was announced, swiftly followed by the Etape, it seemed churlish not to enter. I haven't underestimated how tough it will be; I've been training weekly, as work allows, steadily since last November, using all the hills the Sussex and Surrey area has to offer. Strava tells me I've done over 2000 bumpy kilometres, including of late a couple of seriously hard century rides, so I'm calmly confident of beating the broom wagon at least to the first cut-off point at around a third in - that's before the serious climbing starts, though. Can the Alps really be that much tougher than the South Downs? 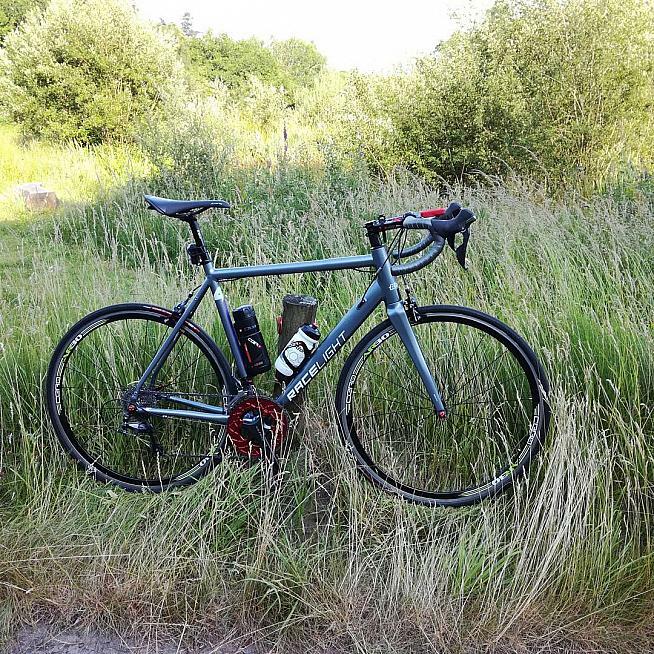 Much of my training was on my trusty Ribble R872, but it was beginning (much like me) to show its age, so I set myself the task of gradually building a bike that would comfortably support my increasing corpulence for anything up to 10 hours. I decided to go back to alloy, and chose the Kinesis Racelight 4S frame. The idea is that, should I still want to cycle after 16th July, I could do so on the same bike, year round, without having to compromise on things like mudguards and bigger tyres. It also leaves the way clear for a dalliance with disc brakes in the future. She's a beauty... Andy's new Kinesis. In addition to my new steed, I've been fortunate enough to be loaned a pair of sweet Curve G4 carbon wheels, thanks to Ryan of Curve and one of their UK agents G!RO Cycling. I've shod them in a pair of highly recommended S-Works Turbo tyres. Not saying these fast rollers are going to help me to any route records, but I'm not turning down any advantage I might get. I've also been popping beetroot capsules for the last few weeks to try and boost my endurance. I loathe the purple-pink devil's testes in all other forms, even pickled in vinegar, but beetroot's muscle efficiency-boosting benefits are well documented. I've been recommended paracetamol to help with the heat, and I may pack a cyanide capsule to avoid the indignity of being taken alive to the broom wagon. My creaking knees will benefit from their introduction to AbsoluteBlack ovalised chainrings - a feature on my bike since early this year - and an increasingly impressive Fizik Alliante saddle. Coupled with Endura FS260 Pro SL II bib shorts, my manly contact areas have been nursed through many hours of repetitive stress. I've yet to decide which shoes I prefer - my Specialized Elite carbons or my Quoc Night Leathers. I probably shan't decide until the morning of the ride, and then instantly regret it. I do suffer greatly with focused anxiety, so this event has dominated my consciousness over the last eight months. I'm more worried, however, that I might not make it to the start in time, seeing as the drive I'm taking from Eric's house is along the Etape route itself. I may just end up sleeping in the car in the event village. I'm quietly confident of making the time cut, and also getting to the end of the ride. I've never cycled at altitude, nor in the Alps before, so whatever distance I make - and even should the Autobus catch me - I'm going to have a whale of a time. Dan: "Resist the urge to start hard and bonk"
My training for the Etape has been just doing lots of miles. At the point I hit the Etape in mid-July I'll have done approximately 5,500 miles (8,850km) for the year. That's a mix of commuting miles, club rides, a few criteriums and one trip to the Alps for the Morzine Haut Chablais sportive. That's pretty good going and more than I expected I'd do (last year I did 7,000 miles). I haven't done any specific training, but I think given the long course and need to conserve energy for the climbs at the end, a good endurance base is key. I have that - so long as I can hold back my natural inclination to smash it then run out of energy after three hours. 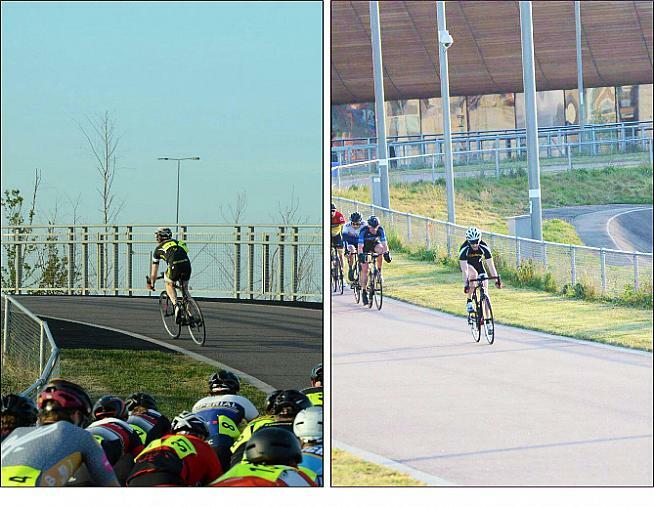 Dan's training includes a daily 40km commute and racing off the front at Lee Valley. I'll be riding a Scott Addict 20 which is a climbing bike with a very light frame. In its ready-to-ride state it's somewhere around the 7.3kg mark (a figure I could reduce if I had the inclination and/or the wallet). The only notable components I've added are: Continental GP 4000s tyres (the best I've used for grip), Superstar Elite 24 wheels (1.6kg and cheap) and a 4iiii power meter. I have no doubt the course will be brutal. I know how to pace myself by feel and power fairly well but I'll have five or six hours in my legs before I hit climbs that are going to require a good deal of power to not go backwards on, and are as hard as it gets. Temperature and altitude are the big unknowns. The plan will be to ride in groups, save the legs as much as possible, keep well fueled, enjoy the sights then hopefully put in some effort on the two climbs. The distance doesn't phase me at all but the course profile does. Putting the climbs at the end is a bit sadistic, as it makes it so hard to prepare for unless you're a full-time pro who can do eight hour rides regularly. 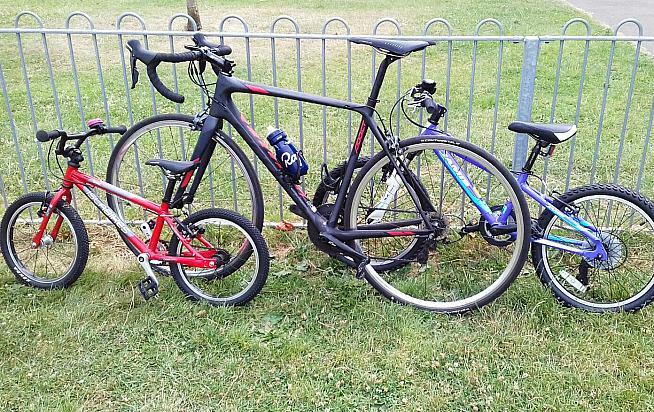 Dan's Scott Addict (centre) is a lightweight climbing machine. Oisin: "Distract yourself with the small print"
Like Dan and Andy, this is my first Etape and I've been looking forward to it all year. 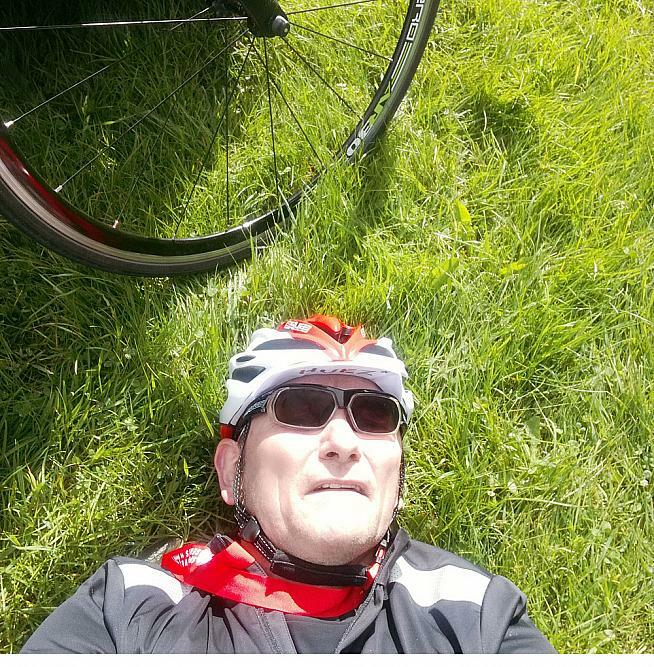 I'll be there as a guest of tour operators Sportive Breaks along with Dan, and leaning heavily on the knowledge (if not the wheel) of their director, Phil who's an experienced hand when it comes to whizzing up and down mountains. In terms of training, I've stuck to a narrow, tried-and-tested diet of local climbs in the South Downs. Brighton cyclists' holy trinity of Ditchling Beacon, Devil's Dyke and Steyning Bostal are the nearest things to Alps around here, and feature in my Strava feed ad nauseam. However I've only ridden 2,600km this year in total - about half of what I'd like - and only one century. So I'm not expecting a fast or easy day in the saddle. I'll be counting on the shelter of the bunch to see me through the first 100km to the foot of Col de Vars. Once we hit the hills it's anyone's guess how things will pan out. Compact chainset and new tyres - check. All it needs now is a decent engine. 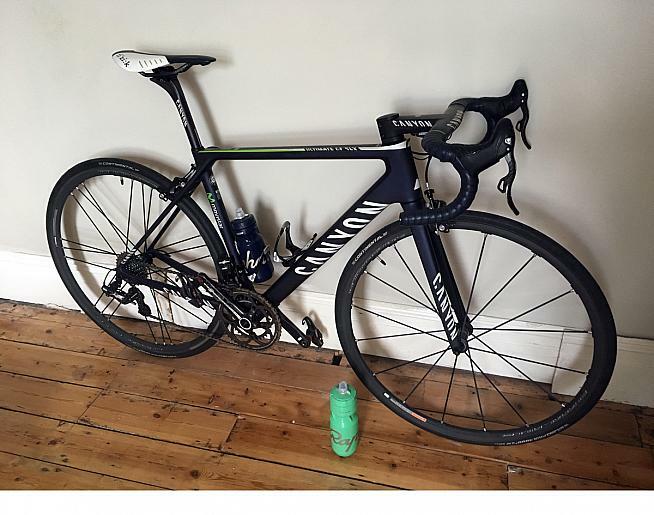 I'll be riding a feathery light Canyon Ultimate CF SLX. Given the amount of climbing in store, I've switched to a compact 50-34 chainset with a 29T emergency gear out back. When it comes to wheels, I agonised over whether to go with a set of lighter, more aero carbon tubulars or my Campagnolo Shamal alloy clinchers. I think the Shamals have got the nod - if only because I've never actually fitted a tubular tyre myself. Halfway through the Etape probably isn't the ideal place to start squinting at YouTube tutorials on my phone. I'm not taking anything special when it comes to clothing, just bibshorts, a short sleeve jersey and a lightweight rain jacket that I can stow in a back pocket for descents. I am however - excitingly - fitting new cleats to my shoes! The old ones are worn to the nub, and starting a big ride like this with fresh kit can make for a more pleasant day. In the saddle bag I'll have a couple of spare inner tubes, tyre levers, an allen key for the seatpost, a quick link in case of chain fail, with a mini pump stowed in my jersey pocket to beat away marauding bears. 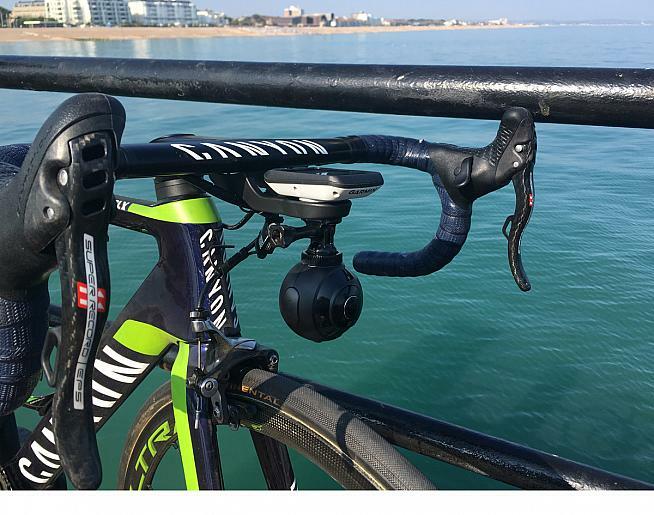 My 'luxury item' for the ride is a stem-mounted action camera from DokiCam which we've got in for review. While most people tape course profiles to their top tube, I'm planning to stick the camera's 'quick start' manual on there; peering at the instructions as we climb should help take my mind off the lactic situation. It does add a minor weight penalty to the bike, but I'll take that hit for the chance to grab some pics of Dan's rear end vanishing into the distance ahead of me. I'll be taking a stem-mounted DokiCam to capture some footage for posterity. Speaking of weight, my last-minute training has actually focused on off-the-bike efforts - that is, efforts to resist the temptations of the snack cupboard. I wouldn't say I've gone on a diet exactly, but over the past two weeks I've eased off on alcohol and sugar-based treats, and tried to avoid giving in to the late-night munchies after the kids have gone to sleep. I've not been entirely disciplined in this, but I've managed to drop a kilo or two - which might help me enjoy a few more seconds in Dan's company. Finally, since the headline promises 'last-minute tricks', here's one: grab a couple of those clear plastic liquids bags from the airport on your way through departures. They make great snack pouches for all-day rides, and will help keep your salted cashews, chocolate, jelly babies etc from melting and sticking to the inside of jersey pockets. Well I didn't say it'd be a good trick. If you're reading this and will be riding the Etape yourself, do drop us a line with your own tips. See you on that start line in Briancon!